An heir presumptive is the person entitled to inherit a throne, peerage, or other hereditary honour, but whose position can be displaced by the birth of an heir apparent or of a new heir presumptive with a better claim to the position in question. The position is however subject to law and/or conventions that may alter who is entitled to be heir presumptive. Depending on the rules of the monarchy the heir presumptive might be the daughter of a monarch (if males take priority over females and the monarch has no sons), or the senior member of a collateral line (if the monarch is childless); the birth of a legitimate child to the monarch will displace the former heir presumptive by a new heir apparent or heir presumptive. It is not assumed that the monarch and his or her consort are incapable of having further children; the day before Queen Elizabeth II ascended the throne, her father, George VI, was gravely ill and her mother was in her early 50s, but Elizabeth was still considered the heir presumptive rather than the heir apparent. Heir presumptive, like heir apparent, is not a title or position per se. Rather, it is a general term for a person who holds a certain place in the order of succession. In some monarchies, the heir apparent bears, ipso facto, a specific title and rank (e.g., Denmark, Netherlands, United Kingdom), this also sometimes being the case for noble titleholders (e.g., Spain, United Kingdom), but the heir presumptive does not bear that title. In other monarchies (e.g., Monaco, Spain) the first in line to the throne bears a specific title (i.e., "Hereditary Prince/Princess of Monaco", "Prince/Princess of Asturias") by right, regardless of whether she or he is heir apparent or heir presumptive. An heir can fail to inherit for other reasons than displacement, for example by death or incapacity of the heir, abolition of the title, or changes to the rules of inheritance. In the English and Welsh common law of inheritance, there is no seniority between sisters; where there is no son to inherit, any number of daughters share equally. Therefore, certain hereditary titles can have multiple simultaneous heirs presumptive. Since the title cannot be held by two people simultaneously, two daughters (without a brother) who inherit in this way would do so as co-parceners and before they inherit, both would be heirs presumptive. In these circumstances, the title would in fact be held in abeyance until one person represents the claim of both, or the claim is renounced by one or the other for herself and her heirs, or the abeyance is ended by the Crown. There are special procedures for handling doubtful or disputed cases. Leonor, Princess of Asturias is the heir presumptive to Felipe VI of Spain. If her father has a legitimate son, he would be heir apparent and Leonor would lose her titles and move back one place in the line of succession. Prince Dipangkorn Rasmijoti is the heir presumptive to King Vajiralongkorn of Thailand. In accordance with the 1924 Palace Law of Succession, the reigning king has absolute power to name any royal male as heir apparent, and upon being announced publicly, the "position of such heir is secure and indisputable". Marcus Claudius Marcellus was heir presumptive to his uncle and father-in-law Augustus until his death in 23 BC. Marcus Vipsanius Agrippa was heir presumptive to his father-in-law Augustus until his death in 12 BC. Marcus Aemilius Lepidus was heir presumptive to his brother-in-law Caligula until his death in 38. Britannicus was heir presumptive to his stepbrother Nero until his death in 55. Robert Curthose was heir presumptive to his brother William II of England until he was disinherited for rebellion in 1088. Edmund of Scotland was heir presumptive to his uncle Donald III of Scotland until his uncle's overthrow in 1097. Empress Matilda was heir presumptive to her father Henry I of England but upon Henry's death in 1135, Matilda's cousin Stephen, King of England took the throne instead. Arthur I, Duke of Brittany, was heir presumptive to his uncle Richard I of England but upon Richard's death in 1199, Arthur's uncle John, King of England took the throne instead. Peter I, Count of Urgell, was heir presumptive to his nephew Afonso III of Portugal until his death in 1258. Margaret of Scotland, Queen of Norway, was heir presumptive to her father Alexander III of Scotland until her death in 1283. Uzana of Bassein was heir presumptive to his father Narathihapate until he was assassinated in 1287. Edward Bruce was heir presumptive to his brother Robert I of Scotland until he claimed the throne of Ireland. Marjorie Bruce was heir presumptive to her father Robert I of Scotland until her death in 1316. Charles, Count of Valois, was heir presumptive to his nephew Charles IV of France twice until his death in 1325. Binnya E Laung was heir presumptive to his father Binnya E Law until his death. Beatrice of Portugal was heir presumptive to her father Ferdinand I of Portugal but upon Ferdinand's death in 1383, Beatrice's half-uncle John I of Portugal took the throne instead. John of Gaunt was heir presumptive to his nephew Richard II of England until the succession law was changed in 1386. Bawlawkyantaw was heir presumptive to his father Razadarit until his execution in 1390. Roger Mortimer, 4th Earl of March, was heir presumptive to Richard II after the change in succession until his death in 1398. Edmund Mortimer, 5th Earl of March, was heir presumptive to Richard II until Richard's forced abdication in 1399. Theiddat was heir presumptive to his brother Minkhaung I until his nephew Minye Kyawswa was made heir instead. Robert Stewart, Duke of Albany, was heir presumptive to his nephew James I of Scotland until his death in 1420. Thomas of Lancaster, 1st Duke of Clarence, was heir presumptive to his brother Henry V of England from his brother's succession in 1413 to his death in 1421. Murdoch Stewart, Duke of Albany, was heir presumptive to his cousin James I of Scotland until he was attained and executed in 1425. John of Lancaster, 1st Duke of Bedford, was heir presumptive to his nephew Henry VI of England until his death in 1435. Walter Stewart, Earl of Atholl, was heir presumptive to his great-nephew James II of Scotland until he was executed in 1437 for his part in killing the previous king James I.
Margaret Stewart, Dauphine of France, was heir presumptive to her brother James II of Scotland until her death in 1445. Humphrey, Duke of Gloucester, was heir presumptive to his nephew Henry VI until his death in 1447. Richard, Duke of York, was heir presumptive to King Henry VI of England until the birth of Henry's son, Edward, Prince of Wales (who also did not become king), in 1453. Joanna la Beltraneja was heir presumptive to her father Henry IV of Castile until he named his brother as heir instead. Alfonso, Prince of Asturias, was heir presumptive to his half-brother Henry IV of Castile until his death in 1468. George Plantagenet, 1st Duke of Clarence, was heir presumptive to his brother Edward IV of England until he fled after rebelling against him in 1470. Edward Plantagenet, 17th Earl of Warwick, was heir presumptive to his uncle Richard III of England until he was removed from the succession in 1485. John de la Pole, 1st Earl of Lincoln, was heir presumptive to his uncle Richard III until the king was killed in battle in 1485. Isabella of Aragon, Queen of Portugal, was heir presumptive to her parents Isabella I of Castile and Ferdinand II of Aragon until her death in 1498. Miguel da Paz, Prince of Portugal, in addition to being heir apparent to his father Manuel I of Portugal, was heir presumptive to his grandparents Isabella and Ferdinand until his death in 1500. James Stewart, Duke of Ross, was heir presumptive to his brother James IV of Scotland until his death in 1504. John Stewart, Duke of Albany, was heir presumptive to James V of Scotland until his death in 1536. Carlos, Prince of Asturias, in addition to being heir apparent to his father Philip II of Spain, was also heir presumptive to his cousin Sebastian of Portugal until his death in 1568. James Hamilton, 2nd Earl of Arran, was heir presumptive to James VI of Scotland until his death in 1575. Ranuccio I Farnese, Duke of Parma, was heir presumptive to his granduncle Henry, King of Portugal until the succession crisis that emerged after Henry's death in 1580. Francis, Duke of Anjou, was heir presumptive to his brother Henry III of France until his death in 1584. Charles de Bourbon was heir presumptive to his nephew Henry IV of France until his death in 1590. Dmitry of Uglich was heir presumptive to his half-brother Feodor I of Russia until his death in 1591. Dmitry Shuisky was heir presumptive to his brother Vasili IV of Russia until his brother was overthrown in 1610. Sigismund III Vasa was heir presumptive of Russia to his son Vladislav until his son's overthrow in 1613. Nicolas Henri, Duke of Orléans, was heir presumptive to his brother Louis XIII of France until his death in 1611. Charles Philip, Duke of Södermanland, was heir presumptive to his brother Gustavus Adolphus of Sweden until his death in 1622. Catherine of Sweden, Countess Palatine of Kleeburg, was heir presumptive to her niece Christina, Queen of Sweden, until her death in 1638. Margaret Theresa of Spain was heir presumptive to her brother Charles II of Spain until her death in 1673. Maria Antonia of Austria was heir presumptive to her uncle Charles II until her death in 1692. Joseph Ferdinand, Electoral Prince of Bavaria, in addition to being heir apparent to his father Maximilian II Emanuel, Elector of Bavaria, was heir presumptive to his great-uncle Charles II until his death in 1699. Princess Caroline of Orange-Nassau, first child of Willem IV of Orange, was heir presumptive until the birth of her brother Willem V.
Sophia, Electress of Hanover, was declared heir presumptive to the British thrones by the Act of Settlement 1701, but died before acceding to the throne of her distant cousin, Queen Anne. Philippe II, Duke of Orléans, was heir presumptive to Louis XV of France until his death in 1723. Duke Charles Louis Frederick of Mecklenburg was heir presumptive to his half-brother Adolphus Frederick III, Duke of Mecklenburg-Strelitz, until his death in 1752. Prince Augustus William of Prussia was heir presumptive to his brother Frederick II of Prussia until his death in 1758. Duke Louis of Mecklenburg-Schwerin was heir presumptive to his brother Frederick II, Duke of Mecklenburg-Schwerin, until his death in 1778. Frederick, Hereditary Prince of Denmark was heir presumptive to his half-brother Christian VII of Denmark until the birth of his half-nephew Frederick, who superseded him. Inthraphithak was heir presumptive to his father Taksin until Taksin was overthrown and both were executed. Maha Sura Singhanat was heir presumptive to his brother Phutthayotfa Chulalok until his death in 1803. Anurak Devesh was heir presumptive to his uncle Phutthayotfa Chulalok until his death in 1806. Maha Senanurak was heir presumptive to his brother Phutthaloetla Naphalai until his death in 1817. Grand Duke Konstantin Pavlovich of Russia was heir presumptive to his brother Alexander I of Russia until he renounced his rights in 1823. Prince Frederick, Duke of York and Albany, brother of King George IV of the United Kingdom, was heir presumptive from his brother's ascension in 1820 to his death in 1827. Sakdiphonlasep was heir presumptive to his nephew Nangklao until his death in 1832. Infante Carlos of Spain, Count of Molina, brother of King Ferdinand VII of Spain. Ferdinand VII changed the succession law in favour to his daughter, who became Queen Isabella II after the King's death in September 1833. This led to the Carlist Wars in Spain. Maximilian, Hereditary Prince of Saxony, was heir presumptive to his brother Anthony of Saxony until he renounced his rights in 1830. Archduke Franz Karl of Austria, brother of Emperor Ferdinand I of Austria, was heir presumptive throughout his brother's reign until the revolution that saw his brother forced to abdicate also saw Franz renounce his rights in favor of his son Franz Joseph. Victoria, Princess Royal, the eldest child of Queen Victoria, was heir presumptive of the United Kingdom from her birth in November 1840 to the birth of her younger brother Prince Albert Edward, later Edward VII, in November 1841. In addition to Prince Albert Edward's right as heir apparent to his mother Queen Victoria, he was heir presumptive to his uncle Ernest II, Duke of Saxe-Coburg and Gotha, until renouncing his rights in favor of his younger brothers. Prince Henry, Count of Bardi, was heir presumptive to his brother Robert I, Duke of Parma, until the monarchy was abolished in 1859. Archduke Karl Salvator of Austria was heir presumptive to his brother Ferdinand IV, Grand Duke of Tuscany, until the monarchy was abolished in 1860. Prince Louis, Count of Trani, was heir presumptive to his half-brother Francis II of the Two Sicilies until the monarchy was abolished in 1861. Albert, Prince Consort, was heir presumptive to his brother Ernest II, Duke of Saxe-Coburg and Gotha, until his death in 1861. Infante João, Duke of Beja, was heir presumptive to his brother Luís I of Portugal until his death in 1861. Ferdinand, Hereditary Prince of Denmark, was heir presumptive to his nephew King Frederick VII of Denmark until his death five months before his nephew in 1863. Pinklao was heir presumptive to his brother Mongkut until his death in 1866. Prince William of Hesse-Kassel was heir presumptive to his cousin Frederick William, Elector of Hesse, until the monarchy was abolished in 1866. Prince William of Hesse-Philippsthal-Barchfeld was heir presumptive to his brother Alexis, Landgrave of Hesse-Philippsthal-Barchfeld, until the monarchy was abolished in 1866. Prince Frederick of Württemberg was heir presumptive to his cousin and brother-in-law Charles I of Württemberg until his death in 1870. Prince Charles of Hesse and by Rhine was heir presumptive to his brother Louis III, Grand Duke of Hesse, until his death a few months before his brother in 1877. Leopold, Prince of Hohenzollern, was heir presumptive to his brother Carol I of Romania until he renounced his rights in favor of his sons. William, Prince of Hohenzollern, was heir presumptive to his uncle Carol I of Romania until he renounced his rights in favor of his younger brother Ferdinand. Wichaichan was heir presumptive to his cousin Chulalongkorn until his death in 1885. Mercedes, Princess of Asturias, daughter of Alfonso XII of Spain, was the heir presumptive at her birth. After her father died, her posthumously born brother Alfonso became king as Alfonso XIII of Spain and she remained the heir presumptive until her death in 1905. Isabel, Princess Imperial of Brazil, was the heir presumptive to her father Pedro II of Brazil on the throne of the Empire of Brazil. However, a coup d'etat in 1889 proclaimed a Republic in the country, deposing the monarchy. Archduke Karl Ludwig of Austria was the heir presumptive of his brother Franz Joseph I of Austria from the suicide of his nephew Rudolf, Crown Prince of Austria, until his death in 1896. Duke William of Württemberg was heir presumptive to his kinsman William II of Württemberg until his death in 1896. Princess Sophie of the Netherlands was heir presumptive to her niece Queen Wilhelmina of the Netherlands until her death in 1897. Grand Duke George Alexandrovich of Russia was heir presumptive to his brother Nicholas II of Russia until his death in 1899. His brother Grand Duke Michael Alexandrovich of Russia was heir presumptive of his brother Nicholas II of Russia, between George's death in 1899 and the birth of his nephew Alexei Nikolaevich, Tsarevich of Russia in 1904. Duke Nicholas of Württemberg was heir presumptive to his kinsman William II of Württemberg until his death in 1903. Prince Philippe, Count of Flanders, was the heir presumptive of his older brother Leopold II, King of the Belgians, after the death of his nephew Prince Leopold, Duke of Brabant, until his own death in 1905. Prince Arthur, Duke of Connaught and Strathearn, was heir presumptive to his brother Alfred, Duke of Saxe-Coburg and Gotha, until he renounced his rights and that of his descendants in favor of his nephew Charles Edward. Prince Moritz of Saxe-Altenburg was heir presumptive to his brother Ernst I, Duke of Saxe-Altenburg, until his death in 1907. Afonso, Prince Royal of Portugal, was the heir presumptive of his nephew Manuel II of Portugal until the monarchy was abolished in 1910. Luitpold, Prince Regent of Bavaria, was heir presumptive to his nephew Otto of Bavaria until his death in 1912. Archduke Franz Ferdinand of Austria was the heir presumptive of his uncle Emperor Franz Joseph I of Austria until his assassination June 28, 1914, in Sarajevo. Duke Philipp of Württemberg was heir presumptive to his kinsman William II of Württemberg until his death in 1917. Prince Maximilian of Baden was heir presumptive to his cousin Frederick II, Grand Duke of Baden, until the monarchy was abolished in 1918. Charles Michael, Duke of Mecklenburg, was heir presumptive to Adolphus Frederick VI, Grand Duke of Mecklenburg-Strelitz, until the throne became vacant and was later abolished in 1918. Ernst, Prince of Saxe-Meiningen, was heir presumptive to his brother Bernhard III, Duke of Saxe-Meiningen, until the monarchy was abolished in 1918. Albrecht, Duke of Württemberg, was heir presumptive to his kinsman William II of Württemberg until the monarchy was abolished in 1918. Wolrad, Prince of Schaumburg-Lippe, was heir presumptive to his brother Adolf II, Prince of Schaumburg-Lippe, until the monarchy was abolished in 1918. Sizzo, Prince of Schwarzburg, was heir presumptive to his cousin Günther Victor, Prince of Schwarzburg, until the monarchy was abolished in 1918. Heinrich XXVII, Prince Reuss Younger Line, in addition to ruling his own principality, was heir presumptive to his kinsman Heinrich XXIV, Prince Reuss of Greiz, until both monarchies were abolished in 1918. Chakrabongse Bhuvanath was heir presumptive to his brother Vajiravudh until his death in 1920. Asdang Dejavudh was heir presumptive to his brother Vajiravudh until his death in 1924. Varananda Dhavaj was heir presumptive to his uncle Vajiravudh until being replaced as heir by his other uncle Prajadhipok in 1924. Mahidol Adulyadej was heir presumptive to his half-brother Prajadhipok until his death in 1929. Tati, Prince of Kosovo was heir presumptive to his uncle Zog I of Albania from the establishment of the monarchy until the birth of the King's son Leka in 1939. Kiril, Prince of Preslav was heir presumptive to his nephew Simeon II of Bulgaria, until his execution by Communists in 1945. Prince Nicholas of Romania was heir presumptive to his nephew Michael I of Romania until the monarchy was abolished in 1947. Princess Charlotte, Duchess of Valentinois, was heir presumptive to her father Louis II, Prince of Monaco, until renouncing her rights in favor of her son Rainier. Prince Knud of Denmark was the heir presumptive of his brother King Frederick IX of Denmark, but an amendment to the Danish Constitution in 1953 proclaimed King Frederick's eldest daughter Princess Margrethe, later Queen Margrethe II of Denmark, heir presumptive. Mohammed Ali Tewfik was heir presumptive to Fuad II of Egypt until the monarchy was abolished in 1953. 'Abd al-Ilah was heir presumptive to his nephew Faisal II of Iraq until they were executed in 1958. Prince Bertil, Duke of Halland, was heir presumptive to his nephew Carl XVI Gustaf of Sweden between 1973 and 1979, until the birth of his great-nephew Carl Philip, Duke of Värmland, who superseded him. Caroline, Princess of Hanover, was heir presumptive to her brother Albert II, Prince of Monaco, between 2005 and 2014, when she was superseded by the birth of Albert's first legitimate child Princess Gabriella. Two minutes later, Gabriella was in turn superseded by her twin brother, Prince Jacques, under Monaco's system of male-preference primogeniture. Tunku Abdul Malik was heir presumptive to his brother Abdul Halim of Kedah until his death in 2015. Jigyel Ugyen Wangchuck was heir presumptive to his brother Jigme Khesar Namgyel Wangchuck between 2006 and 2016, until the birth of his nephew Jigme Namgyel Wangchuck. ^ "Heir Presumptive Law & Legal Definition". USLegal.com. Retrieved 2012-11-07. ^ "Heir presumptive". Reverso.net. Retrieved 2012-11-07. ^ "Her Royal Highness the Princess of Asturias". Retrieved 31 August 2014. Ulrika Eleonora or Ulrica Eleanor, also known as Ulrika Eleonora the Younger, reigned as Queen of Sweden from 5 December 1718 until her abdication on 29 February 1720 in favour of her husband Frederick I of Sweden, which made her Queen consort of Sweden until her death. Frederick I was the last Duke of Würtemberg, then briefly Elector of Württemberg, and was later elevated to the status of King of Württemberg by Napoleon I. He was known for his size: at 2.12 m and about 200 kg (440 lb). Frederick Ferdinand, Hereditary Prince of Denmark was grandson of King Frederick V and heir presumptive to the throne from 1848 until his death. Had he lived five months longer, he would have outlived his nephew, King Frederick VII, and become King of Denmark. 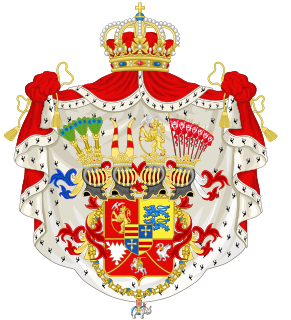 The House of Saxe-Coburg and Gotha is a German dynasty that ruled the duchy of Saxe-Coburg and Gotha, which was one of the Ernestine duchies. It is a cadet branch of the Saxon House of Wettin. Isabella, Princess of Asturias was a Queen consort of Portugal and heir presumptive of King Ferdinand II of Aragon and Queen Isabella I of Castile, as their eldest daughter. Her younger siblings were John, Prince of Asturias, Queen Joanna I of Castile, Maria, Queen of Portugal and Catherine, Queen of England. Prince Baudouin of Belgium, born in Brussels, was the first child and eldest son of Prince Philippe, Count of Flanders, and his wife, Princess Marie of Hohenzollern-Sigmaringen. O Herdeiro presumptivo do Imperio terá o Titulo de "Principe Imperial" e o seu Primogenito o de "Principe do Grão Pará" todos os mais terão o de "Principes". O tratamento do Herdeiro presumptivo será o de "Alteza Imperial" e o mesmo será o do Principe do Grão Pará: os outros Principes terão o Tratamento de Alteza. Princess Caroline of Denmark, was the eldest surviving daughter of King Frederick VI. She was unofficially known as "Kronprinsesse Caroline" prior to her marriage, and later as "Arveprinsesse Caroline". She married her father’s first cousin, Hereditary Prince Ferdinand, who was heir presumptive to the throne from 1848 to 1863. The House of Urach is a morganatic cadet branch of the formerly royal House of Württemberg. Although the Württemberg dynasty was one of many reigning over small realms in Germany into the 20th century, and despite the fact that marital misalliance in these dynasties usually disinherited the descendants thereof, the Dukes of Urach unusually managed to elicit consideration for candidacy for the thrones of several European states, viz. the Kingdom of Württemberg, the Principality of Monaco, the abortive Kingdom of Lithuania and even the Principality of Albania. 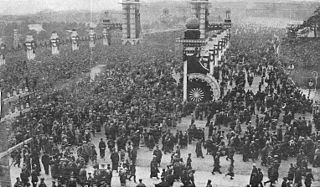 Although none of these prospects came to fruition, they reflected monarchical attempts to accommodate the rapid shifts in national allegiance, regime and international alliances that intensified throughout the 19th century, leading up to and following Europe's Great War of 1914-1918.